Mbucuruya means "passionflower", and the scent by that name is meant to smell of passionfruit. I don't know exactly what passionfruit smells like, alas, but Mbucuruya smells like a creamy, fruity milkshake: the fruit notes suggest pineapple and mango and papaya, and I'm sure there are other tropical things in there as well. 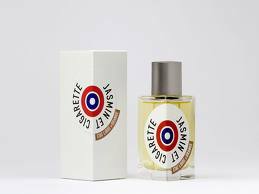 It is vividly sharp at the very top, with a fleeting top note giving the suggestion of a just-peeled mandarin orange and a strange hint of vitamin B, and then it relaxes into a lush milkshake of tropical fruit and vanilla ice cream, sweet but never cloying. It lasts an extraordinarily long time, hour after hour of this creamy-fresh concoction. Mbucuruya calls to mind a Comptoir Sud Pacifique scent such as Vanille Peach or Vanille Pineapple, but far more complex and varied. 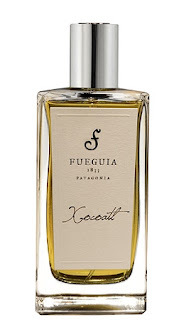 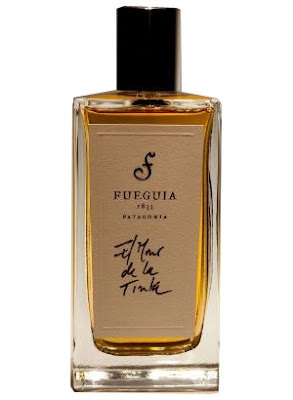 It is pure joy, one of the brightest, most ecstatic things I have smelled in quite some time, miles beyond the standard fruity floral of today, and the first thing I've smelled from the Fueguia 1933 line that I really thought was worth what they were asking for it. 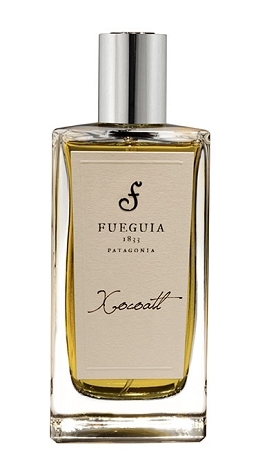 Xocoatl hovers somewhere between Borneo 1834 and the alas-discontinued cocoa-vanilla-patchouli Cocoon by Yves Rocher, and I should be thinking that it's a kind of knockoff, or at least nothing new, and yet I find it magnetically attractive: I took pleasure in every drop of my sample and found myself wishing I had more. I still cannot get over that price point (see below), but if you are looking for a subtle and fascinating scent that is purely unisex and not like anything else I know of on the market, this could be just the thing.